We’re on week 7 now of linking up with Living Arrows over at What The Redhead Said, and I’m loving it. I love that it encourages me to take photos of Isla. When she was first born I would take loads of her. Like hundreds! After she hit around 5-6 months or so, I think I tended to slow down a lot with taking photos though. A day or two could go by without me taking any. Partly I think as it was getting difficult, she would be constantly grabbing for me phone, or she wouldn’t sit still for long enough for it not to be blurry. Linking up with Living Arrows though has encouraged me to start taking photos again, and to appreciate the day-to-day things we do in our family. 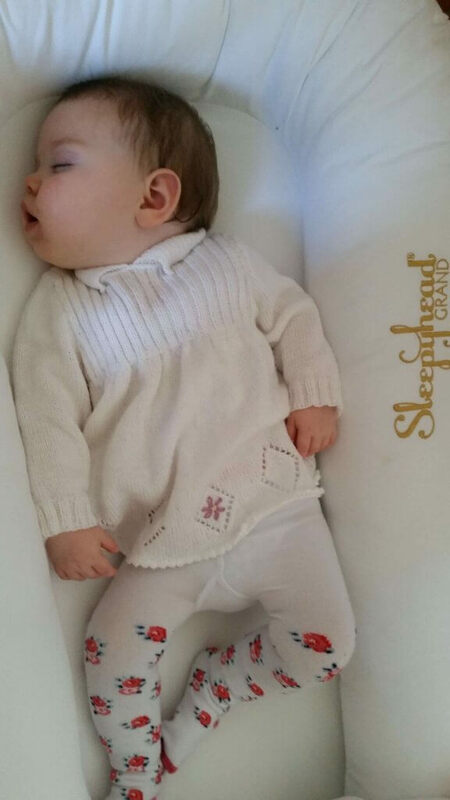 A sleeping Isla Bear – this is not getting ready for nursery! Today is Isla’s third settling in session at nursery. She will be attending a local nursery to us for two half days a week at the moment. It really is a wonderful nursery, and has such a good feeling to it. 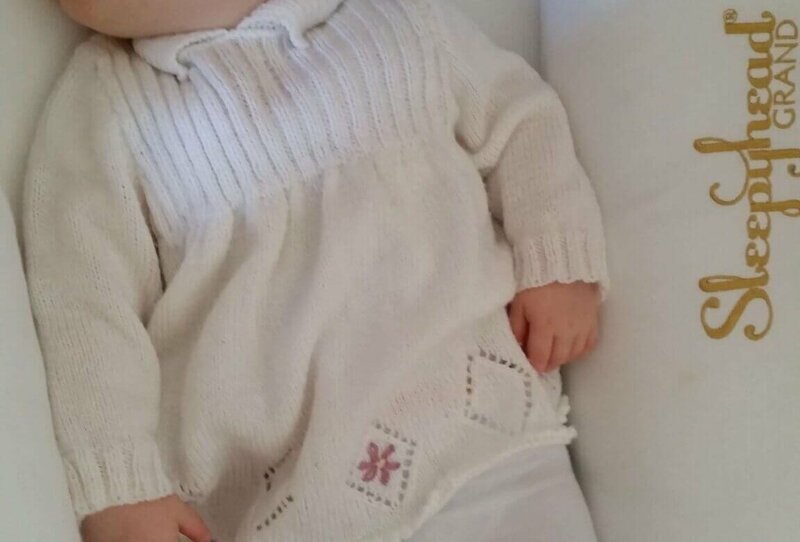 We know a few of the babies that already attend their, they’re either the children of friends in our village, or of friends from our NCT group, so at least Isla knows some friendly faces there. Attending nursery does mean however that we’re having to be a bit more strict with naps in the day. At the moment her settling in sessions start at 2:30pm, but when she starts properly next week she will start at 12pm and 1pm. This mean that Isla will have to say goodbye to her long lie ins (as will Mummy 🙁 ) as she will either need to be ready to go down for a nap when she gets there, or have had one and had a bit of lunch by the time she gets there. Eeep! This is going to be fun. I hate having to wake her up when she’s asleep, but needs must sometimes. Am I a horrible mother as well in the fact that I don’t feel guilty leaving her there? I’m actually quite excited to have a bit of time to myself to be able to do bits around the house, and catch up on blogging bits. Does anyone have any useful suggestions on how to encourage Isla to go to sleep better/easier/quicker? And also some suggestions on how to get her to go to sleep without having to have cuddles with either Mummy or Daddy, or a feed would also be helpful! 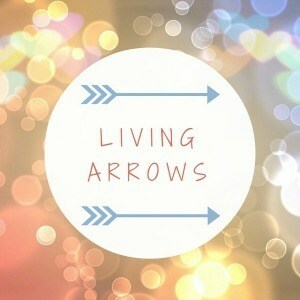 Check out Life As Mrs D’s other Living Arrows posts here. What a peaceful photo, i hope she enjoys her time at nursery. She did for the first hour, then I had to pick her up a bit early as she had a bit of a melt down! Let’s hope tomorrow goes better! Me time has been great… but at the moment I’m constantly on edge expecting a phone call to say she’s got herself really worked up again and can I pick her up early. Thanks Kate. The tights are from M&Co!